The Byre self catering holiday cottage is a delightful one-bedroom holiday cottage at the heart of the farm. It is decorated to a high standard throughout, and is well equipped to provide our guests with a warm welome and home comforts during their stay. 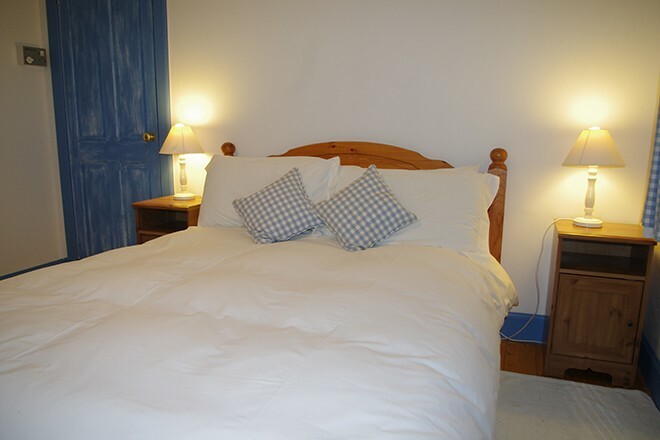 The cottage has a comfortable double bedroom with en-suite bathroom, and an airy open plan kitchen and living room. The kitchen is fully equipped with an electric cooker, microwave, washing machine and drier and enough china, glass and cooking utensils for two people. The living room is simply decorated to make the most of the abundant original features, which include stripped wooden floors and exposed timber beams. 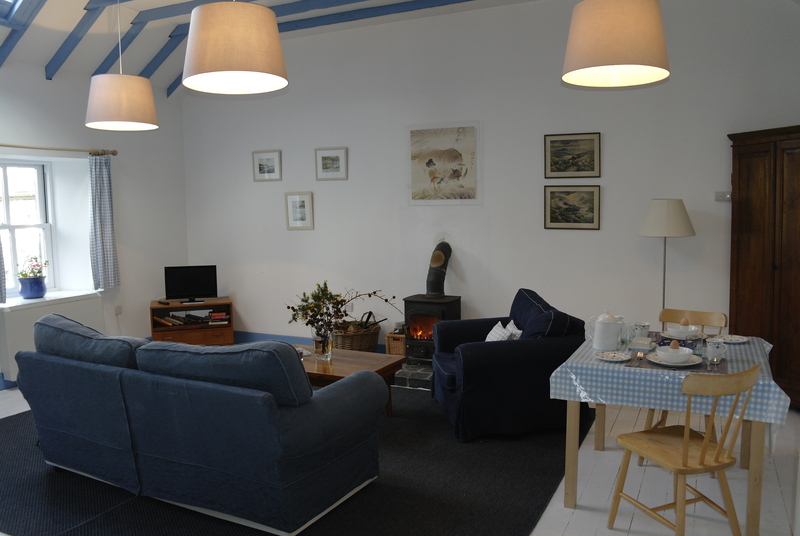 There is a comfortable sofa and armchair, television and DVD player and a wood burning stove with locally sourced wood. 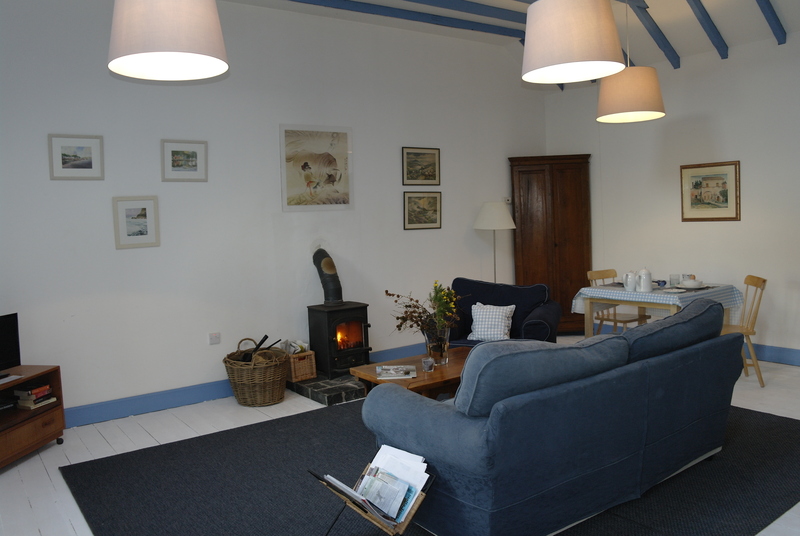 The whole cottage is centrally heated and with a ready supply of hot water. 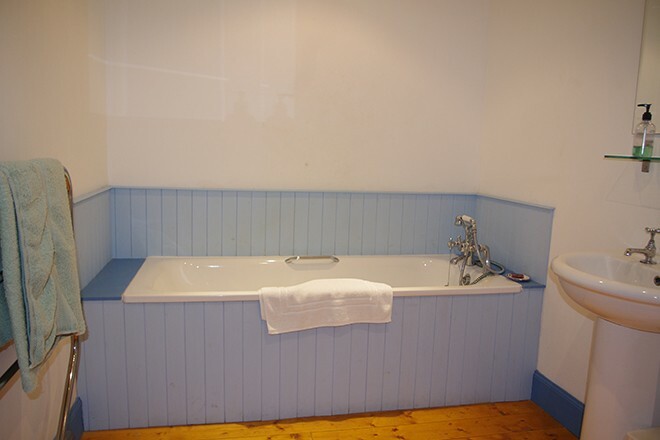 All bed linen and bathmats, (but not towels) are provided, and well-behaved dogs are welcome. 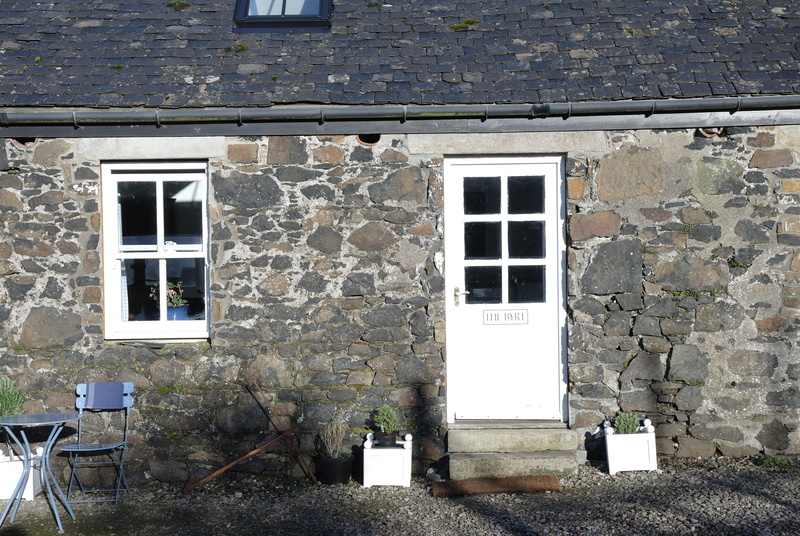 The Byre can also be taken in conjunction with the other self-catering accommodation for larger family groups.